In July this year, without any fanfare, and largely unnoticed by the world of boxing, Danny Williams retired at the age of 45. The giant British heavyweight had been defeated in the ring by Lee McAllister, a former lightweight, in a fight deemed so lowly that it wasn’t even recognized by BoxRec. The man who once shocked the world and knocked out Mike Tyson was shuffling out of the sport for the final time, and hardly anybody was there to wave him off. We suspect that his retirement comes as a surprise to most people reading this article, but only because you likely thought that he’d retired years ago. You’d be right to. This is Williams’ sixth recorded retirement, with his first coming way back in 2011. Given his age, and the fact that he lost to a fighter he’d have been putting down in the first round during his prime, it’s probably reasonable to believe that he really means it this time. Almost all boxers find themselves back in the ring after they’ve called it a day. Either they love the sport too much, or they have nothing else in their lives. It’s practically expected that a boxer will go on for too long, and take one or two fights too many. In the case of Danny Williams, it was probably more like fifteen or twenty. Danny’s record after 2011 is miserable. It’s defeat after defeat, at the hands of lesser known fighters each time, and such is the magnitude of his fall from grace that a casual observer might believe he disgraced his own legacy. If that’s the case, let us put the record straight: Danny Williams was an inspirational fighter. He was the ultimate underdog, and wore his heart on his sleeve. He was never the world’s greatest boxer, and would never seriously have claimed himself to be. He was just a big man with a big heart and a lot of power, and he used the tools he was born with to the best of his abilities. He was the ultimate underdog. And not even for the reason that immediately comes to mind. If the American audience remembers Danny Williams at all, it will likely be for the Mike Tyson fight. 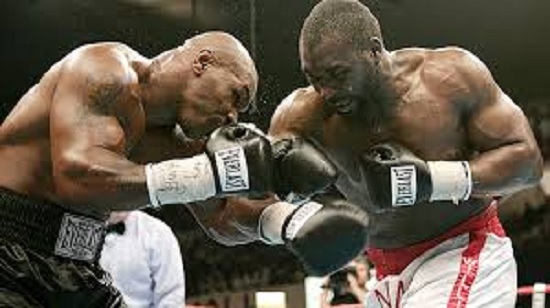 He was supposed to be a lump of meat placed in front of Tyson to build him up for a rematch with Lennox Lewis; an impressively large target that Tyson could knock down and use to proclaim that he was back to his best. 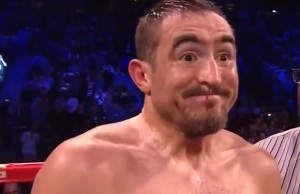 As anybody who knows their boxing history is already aware, that’s not how things turned out. Tyson was the overwhelming favourite for the fight, as you’d expect him to be. Williams was one of many underdogs that feature on the list of Iron Mike’s victims; a well traveled and largely successful boxer with a decent win/loss record, but one who’d never really featured at the top of a card. Williams, like Buster Douglas many years before him, faced a seemingly impossible task. Despite that, there were those who backed him. 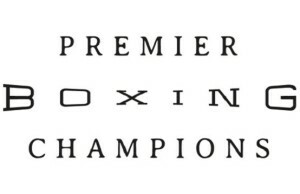 The public – and boxing fans especially – love an underdog. We congratulate ourselves on our inside knowledge, and we like to think we can see a punt that other people can’t. It’s the gambler’s instinct in all of us; it’s the reason we place bets on football games every weekend, or even play cute slot games like Fluffy Favourites is to try our hands on the online slots; we think we have the skill and the knowledge to come out with a victory. When someone proves us right, we love them forever. Safe to say, those who bet on Williams that night fell in love with the man. Tyson’s will to win, and his love for the sport, were on the wane. He looked strong in the opening rounds, but wasn’t able to send a defiant Williams to the canvas, and then fate came into play in Danny’s favour. Tyson tore a ligament in his left knee, limiting his movement and his ability to use his power. Williams, sensing blood, poured onto him, put him down and knocked him out. The world was shocked, and Danny Williams was a made man. 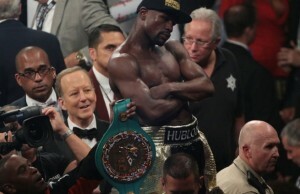 The victory led to a world title opportunity against Vitali Klitschko, which Danny lost. There was no shame in it; nobody stopped Klitschko in his prime, and Danny picked himself up from the canvas several times before the referee waved the fight off. It may have been a losing performance, but it was a proud one. It was actually four years previous to his Tyson encounter that Williams won his place in boxing history, and in our hearts. It was on a card you’ve already forgotten, against an opponent (Mark Potter) you’ve never heard of, but it’s a feat of spirit and endurance which you must immediately go out and find if you’ve never seen it before. 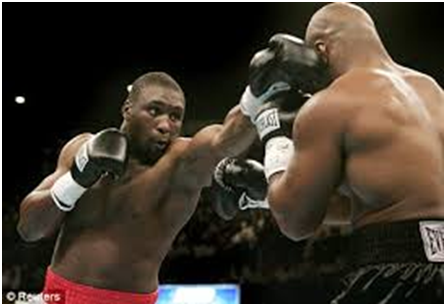 On October 21st 2000, Danny Williams won a fight with one arm. Williams was still building his reputation at the time, and came into the fight as the Commonwealth Heavyweight Champion. The vacant British Heavyweight Championship was on the line; two prizes that wouldn’t mean big paydays there and then, but are useful accessories to push a prospect forward. For Danny, the boost to his reputation he received from his night’s work was more valuable than any strap. Williams dislocated his right shoulder badly in the third round. He’d already been floored in the first. He was down on the card, and unable to defend himself. In the corner, Frank Warren pleaded with his man to let him pull him out. Williams refused, insisting he had one good arm and only needed one good punch. The arm was visibly lame, hanging so loose it dragged on the canvas at times. The referee could and should have stopped the fight, but if only for the legend, we’re glad he didn’t. Fighting with one arm, taking punishment on the right side of his body and his face because of his lack of guard, Williams somehow managed to target and land a booming left uppercut in the sixth round. He’d gone three entire rounds as nothing but a walking target, and somehow retained the strength to pick his moment. Potter went down hard. He picked himself back up, but his legs were gone. Another reaching left from Williams ended the fight. Danny collapsed to the canvas. He was taken straight to hospital, and the damage to his shoulder was so severe it kept him out of the ring for ten months. The pain he’d have been in is beyond comprehension. Any man would have considered quitting, and most men would have done so the moment the shoulder popped out. Danny Williams was a different breed. He had heart, he had courage, he had endurance, and he left his mark on the boxing landscape. Nobody was there to applaud you when you hung up the boots, Danny, but we’ll applaud you today.